It’s hard to believe this Auxiliary year is almost half over! January is an interesting month, with the holiday rush behind us and the stillness of winter surrounding us, it lends itself taking a deep breath and a few mo-ments of self-reflection. 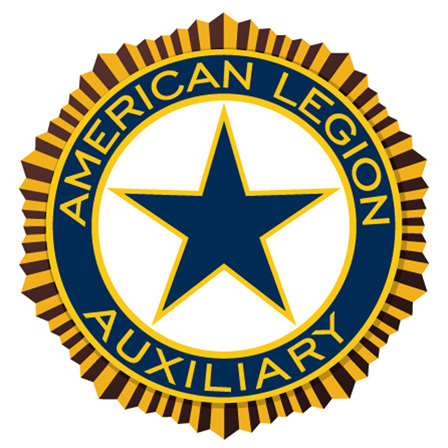 As you are thinking about your plans for 2019, please recommit your-self to the mission of the American Legion Auxiliary. As we near our 100th year, our programs and services are still vital to Veterans, their families, and our communities. One of my favorite aspects of our organization is our ability to individualize our activities to the needs of our Unit community. Take some time this month to look at the needs in your community and think about how your Unit can impact these needs. There is never a bad time to start planning your next project. As I write this article, we are about 1900 members behind where we were at this time last year and at 62% percent of our membership goal for the year. It is time to personally contact those hold-outs; make a phone call, plan a visit, or send a letter/email to talk with them about their membership and what is preventing them from renewing this year. Maybe they forgot, maybe their financial situation has changed, maybe they haven’t found a person-al connection with our mission. Be open to their input and problem-solve with them about the issues they bring up. If we work together we can achieve our membership goals. The Illinois American Legion Family Caravan is coming to an area near you soon! We will be traveling across the state January 17th-January 26th. Please come and join us for this wonderful opportunity. We are thrilled to have Past National Commander Denise Rohan as our speaker this year, she is in her own words “the first American Legion Auxiliary Member to serve as National American Legion Commander” and an inspiring speaker. Bring a friend and your questions, we want to hear from you. We also have Lincoln’s Pilgrimage in Springfield on February 11th-12th. February 11th there is a reception with all the National guests having time to visit with attendees. It is a great oppor-tunity to meet our National leadership on a more personal level. National President Kathy Dungan will be keynote speaker at the breakfast and commemoration ceremonies will be held at Lincoln’s Tomb. Information is available through Springfield Post and Unit #32 and on the Department Legion website (www.illegion.org). In closing, at the beginning of 2019, I leave you with a quote from author Neil Gaiman: “I hope that in this year to come, you make mistakes. Because if you are making mistakes, then you are making new things, trying new things, learning, living, pushing yourself, changing yourself, changing your world. Yu're doing things you've never done before, and more importantly, you're doing something.” Now get out there; make, try, learn, push, LIVE! Debra Lewis is a 42-year member of the Craig-Reed Unit 1181 in Cisco. She has eligibility through her Grandfather, Michael Vannote, who served in the Navy and Air Force. Her passion for the American Legion Auxiliary started through her participation in the Junior program under the loving encouragement and mentorship of her grandmother, JoAnn Shafer. Deb is active in her Unit where she continues to serve as President. She served as District President in 2011-2012 and has held multiple district chairmanships and served as Chaplain, Historian and Vice President. Deb has served as Division chairman for Legislative, National Security, Illini Girls State, Leadership and Community Service programs. On the Department level she has served as Illini Girls State Dean of Education, Director of Illini Girls State, Americanism Chairman, Historian, National Security Chairman, and Legislative Chairman. Deb’s other interests include working with animals and children. She is a supervisor for youth with emotional and behavioral disorders in residential treatment at Cunningham Children’s Home in Urbana. Deb is alumni of the University of Illinois at Urbana Champaign with a Masters Degree in Animal Sciences and is in the process of completing a Masters Degree in Social Work with a concentration in Leadership and Social Change. She adores spending time with nieces; AudreyAnn, Rachael and Lauren, who are Junior members of the ALA, and many pets including dogs Taz and Joey and ninja-assassin cat Ty.